This entry was posted in Family Tree and tagged Maps, Old Handwriting. Bookmark the permalink. ← Who is Elizabeth Fordyce? You are so smart! Wish I had your insight. Thanks Judy. Insight gained from just looking around in a organized manner. Well done! I have been trying to locate “Orange Place, Westhoe” for some time, as my great-grandmother Maggie Patterson lived there as a child. I think you have solved the mystery. The street is on the 1861 census between Orange Street and Raglan Street and my guess is that it was the continuation of Orange Street west of Princes Street. It looks as if the site is now under a Lidl! When I was initially searching I found a number of other people looking, so I hoped by writing it up, future people might be aided by my findings. Glad it helped you! I don’t think Orange Street was situated quite where you think it was. I believe, and I could of course be wrong, that it ran parallel to Laygate Lane and lay under where the flats currently stand (directly opposite from where Lidl now stands). One of the things that could prove confusing is that New Green Street may not have been built over Green Street. Hi Norman, You and I appear to believe it is in the same place then. 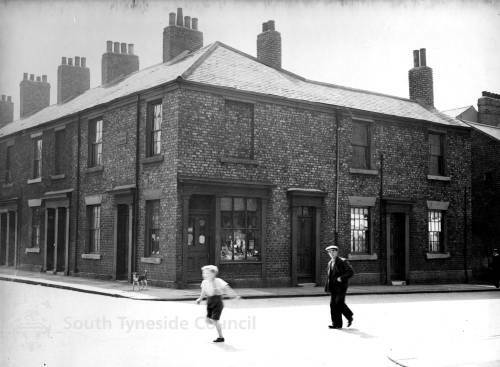 I would say that Orange Street ran from the little stub of a road that I mention in the blog post, to around about where the Lidl now stands, which is indeed parallel to Laygate. I only posted a small square of each map (old and new) in my blog post. Just enough to show the two areas in question, but I did start off with a much bigger map with the modern and old maps overlaid and partially transparent so I could see through one to the other. I started by lining up Commercial Road, Laygate Lane, Frederick Street, and the piece of Brunswick Street that meets Laygate. This all matched, and even the kink in Laygate Lane after the new big roundabout lined up. You’re right that New Green Street wasn’t built over Green Street, but it’s entrance to Laygate Lane appears to be in the same place. Here is my transparent map that I took the small snippets from, for you to look at. Do you think I got it lined up correctly? Thanks Russell. I was aware of the NLS maps and had been using them for various Scottish places (see Old Maps) but I hadn’t realised/noticed that they also covered England! Also that side-by-side function is pretty neat! Thanks for the heads-up. There is another useful function and that is superimposing the old map on top of today’s map. Beautifully written. It is interesting to see the old and new maps with the transparency even just to see how much areas have changed. Thank you for the write up of Orange Street. That was why I wrote about it – so that others could find it too.